Augustine Lodge was born in Hamilton in 1895 to James Lodge and Hannah Hudson, one of six sons and two daughters of the couple. The family lived in Clarke Street and James was a stone mason. Augustine, better known as Gus, attended the St Mary’s Convent School. When he was eleven, his older brother Harry died of a kidney infection. On leaving school at around thirteen, Gus was apprenticed to coachbuilder Abraham Greed at his premises on the corner of Gray and Brown Streets, Hamilton. Gus joined the Hamilton Senior cadets and was a Sergeant from 9 July 1911 to 25 May 1913 and a Lieutenant from 25 May 1913 until 28 August 1914. His service with the cadets ended at that time because a week earlier on 19 August 1914, Gus had enlisted for WW1. He was nineteen years and one month old and gave up a commission to enlist, reverting to a Sergeant with the 8th Battalion. He was the first son of James and Hannah Lodge to enlist and he left Australia for Egypt on 19 October 1914. The 8th Battalion was in the second wave at the landing at Gallipoli on 25 April 1915. Three days later, Gus was promoted to 2nd Lieutenant and soon after the battalion moved to Cape Helles for the first Battle of Krithia. On 23 July, the 8th Battalion was preparing for an enemy attack. What followed during the night was considered only enemy bluff, however, Gus Lodge was shot in the left arm. He was transferred to hospital on Malta and while there, he heard of his promotion to Lieutenant. Still requiring further hospitalisation, Gus was transferred to the 3rd London General Hospital at Wandsworth, England on 20 August. In his absence, Gus’ older brother Frank, serving with the 2nd Pioneer Battalion, arrived at Gallipoli. By the time Gus returned to the 8th Battalion on 21 February 1916, they were back in Egypt, located at Serapeum. On 31 March 1916, the 8th Battalion arrived in Marseilles, France and began the trip north to the Somme. 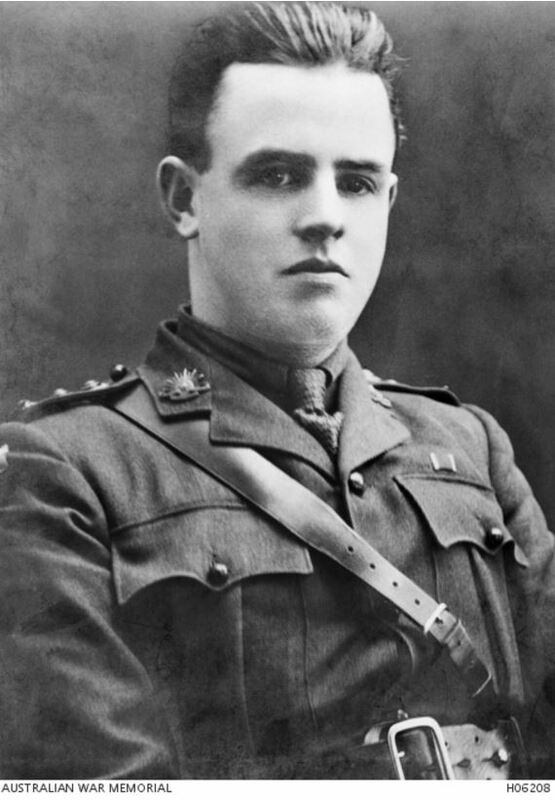 A promotion to Captain came for Gus on 13 April 1916 and he was appointed Adjutant of the 8th Battalion. At twenty-one, he was one of the youngest Captains on active service. 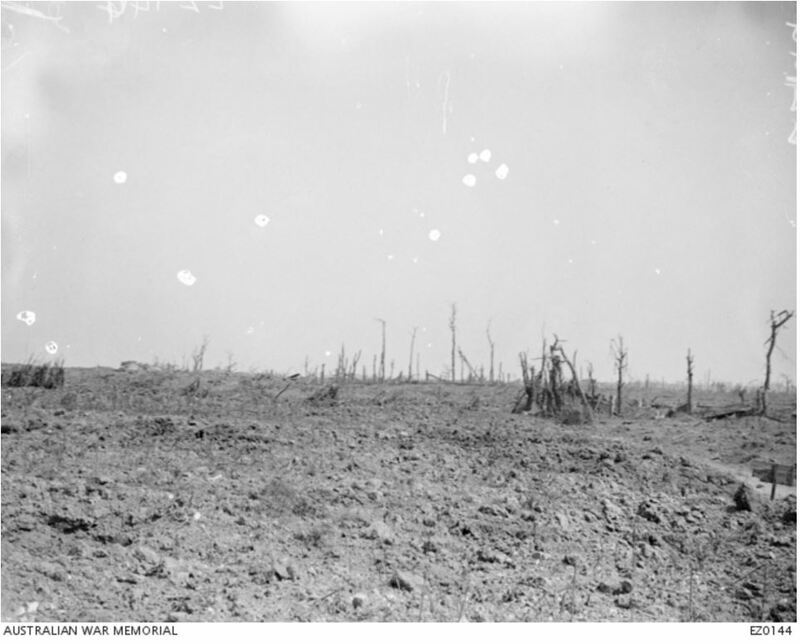 The battalion, as part of the 1st Division, positioned themselves near Pozieres to attempt to capture the village, their objective achieved on 23 July. However, the Germans wanted to reclaim Pozieres and bombarded the village and allied trenches. Gus did sustain wounds but he was well enough to continue his duties. By the end of July, the 8th Battalion was out of the trenches and for first two weeks of August had something of a break from the rigours of the previous month. They were back in the trenches near Pozieres on 15 August taking up position near Sausage Valley. 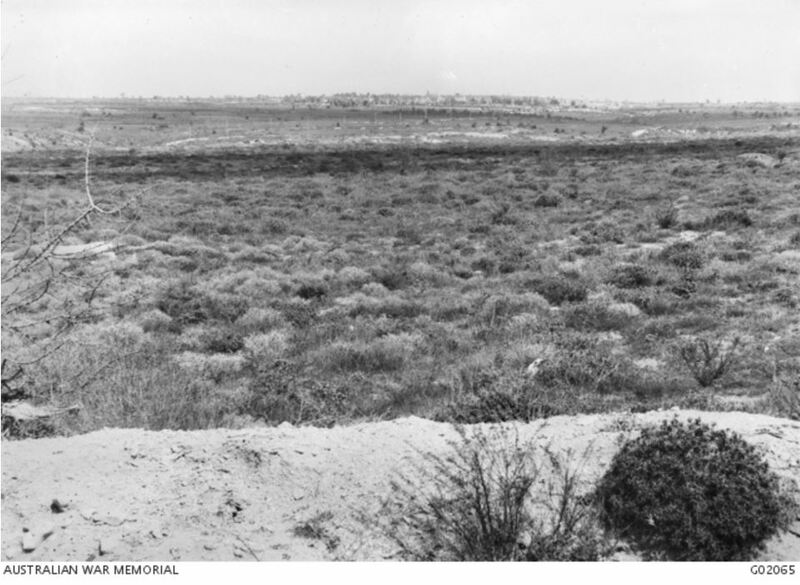 Late in the evening on 18 August, the 8th Battalion was part of an attempt to advance, later deemed a failure. During the operation, Gus received bad wounds including three shell wounds to his upper right thigh and a fractured shoulder from a bullet wound. He was admitted to 13th Australian Field Ambulance and then on to hospital. 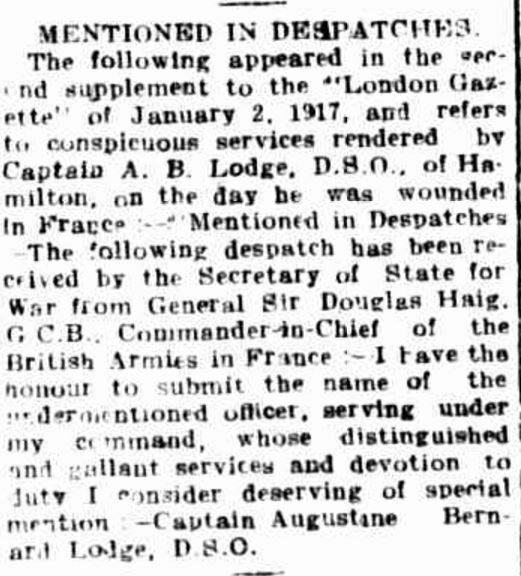 His actions on 18 August saw him Mentioned in Despatches, appearing in the London Gazette on 2 January 1917. “MENTIONED IN DESPATCHES.” Hamilton Spectator (Vic. : 1870 – 1873; 1914 – 1918) 17 July 1917:<http://nla.gov.au/nla.news-article119853542&gt;. While in hospital in France, Gus managed to write a letter home to his parents letting them know his condition. He told them he was out of danger but the first two weeks were the worst when it was thought he may lose his right leg. Gus was transferred to England and once again admitted to the 3rd London General Hospital at Wandsworth on 16 September. On 25 September 1916, the Hamilton Spectator published the news of not only Gus’ Distinguished Service Order, but the Military Medal awarded to his brother Frank for his actions at Pozieres on 4/5 August 1916. Gus could not attend Buckingham Palace to receive his Distinguished Service Order so the King’s daughter Princess Mary visited him in hospital to present it. During January 1917, Gus embarked on a hospital ship for Melbourne, arriving on 8 March 1917. “Hamilton Soldier’s Home-Coming” Advocate (Melbourne, Vic. : 1868 – 1954) 31 March 1917 . Gus received a heroes welcome at Hamilton when he arrived by the evening train on 16 March 1917. A motorcade travelled from the station to the Town Hall, with Gus and his parents in the car at the head of the procession, just behind the Hamilton Pipe Band. Gus was giving a rousing reception at the Town Hall with the National Anthem ringing out. Dignitaries spoke including the Mayor, Cr. Moore. 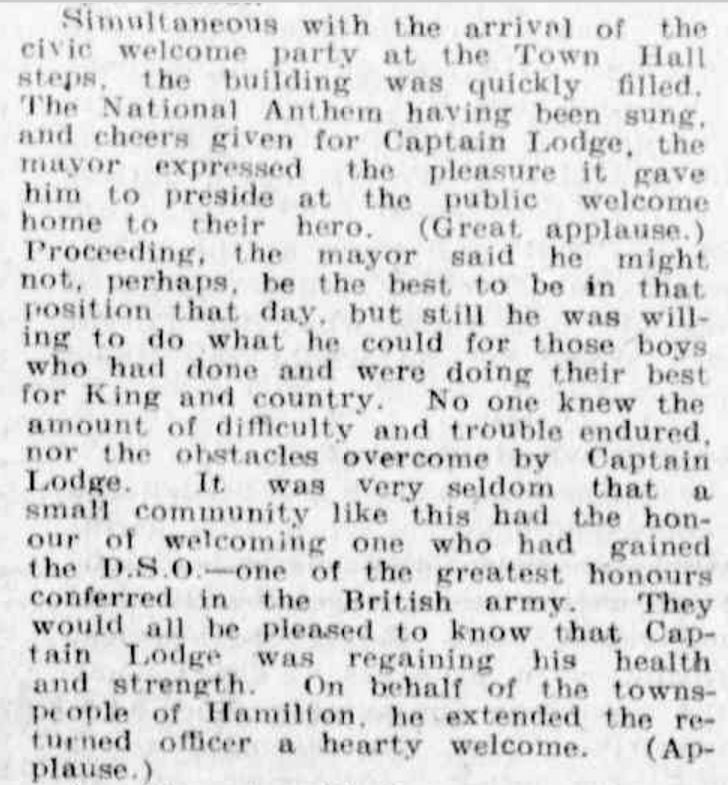 “Hamilton Soldier’s Home-Coming” Advocate (Melbourne, Vic. : 1868 – 1954) 31 March 1917:<http://nla.gov.au/nla.news-article152193847&gt;. While home, Gus visited his old school the St Mary’s Convent school and various other local organisations. On 28 June 1917, his older brother James enlisted and on 4 August, his younger brother Richard left Australia with the 3rd Pioneer Battalion. James left Australia on 21 November. Gus was not far behind because, despite his previous injuries, the war was not over for him. He left Hamilton by train on Tuesday 20 November and sailing for Port Said on 26 November 1917. Over the next six months, Gus spent time in Egypt and France before returning to London on 2 May 1918 where his appointment with the AIF was terminated as he had taken up a commission with the Indian Army. He was to serve as a Major in the Queen’s Own Royal West Kent Regiment. 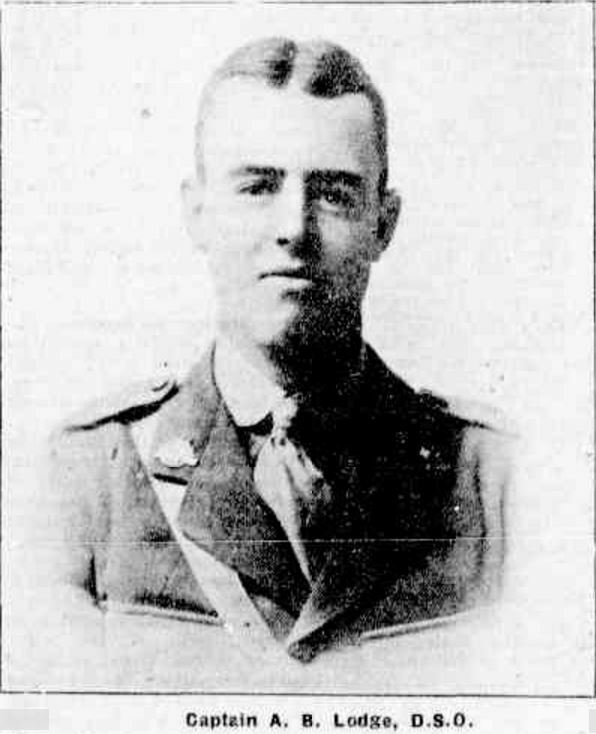 However, soon after his arrival in India, Gus received the news of the death of his youngest brother Frederick on 20 June 1918 at Casterton followed by the death of his father on 31 July 1918, also at Casterton. On 24 August 1918, the residents of Clarke Street Hamilton honoured the men from the street who had enlisted planting an Avenue of Honour in the street. A tree was planted for Gus, each of his three brothers and his father James. From 1919, Gus was fighting in the Third Anglo-Afghan War on the Afghanistan front. 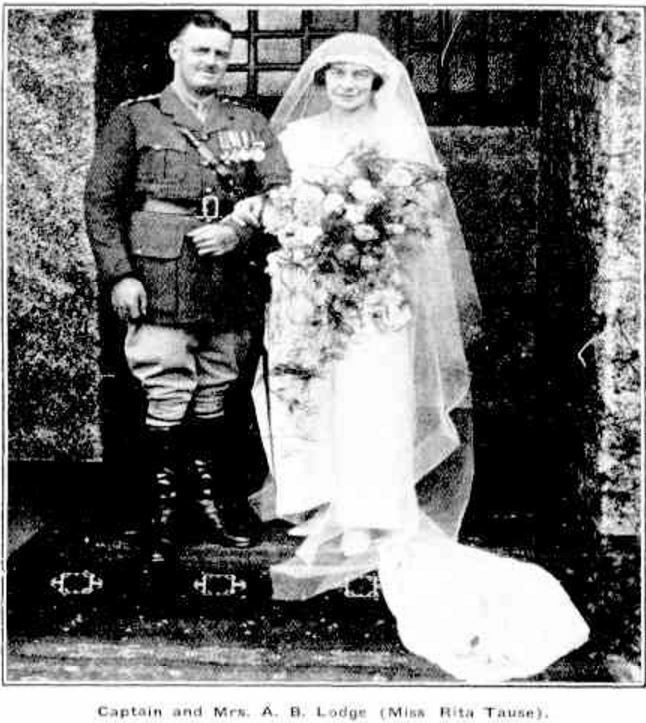 He remained in India until 1923 and on his return to Australia, Gus married Rita Cora Tanse at St Patrick’s Cathedral Melbourne on 19 June 1923. They took up residence at 65 Lumeah Road, Caulfield. “Family Notices” Table Talk (Melbourne, Vic. : 1885 – 1939) 28 June 1923: 28. Web. 25 Jul 2016 <http://nla.gov.au/nla.news-article146570677&gt;. The servicemen brothers of Gus had returned to the family business of stone masonry on their return from war forming Lodge Bros. On his return from India, Gus joined them in the business. In 1928, they won the contract to build the Shrine of Remembrance which they completed employing returned servicemen as labourers. 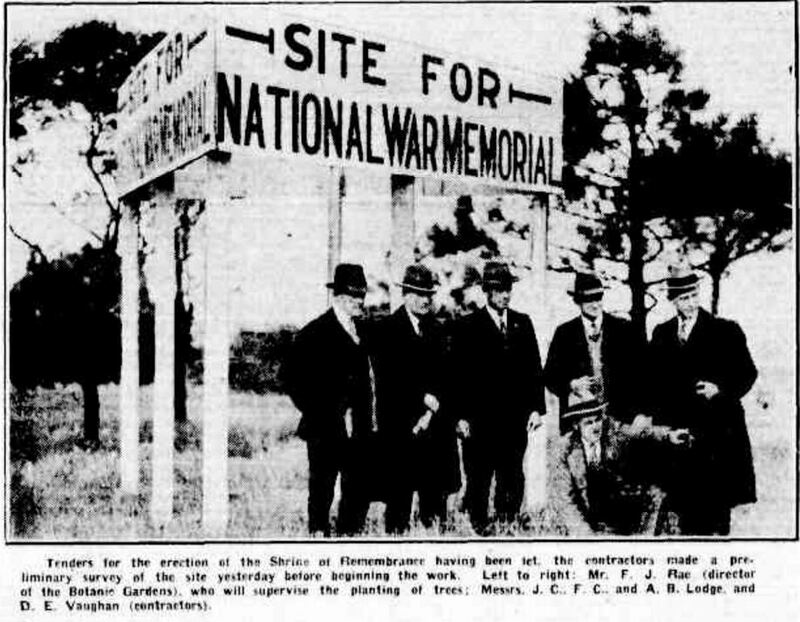 “SHRINE OF REMEMBRANCE PRELIMINARIES.” The Argus (Melbourne, Vic. : 1848 – 1957) 12 June 1928: <http://nla.gov.au/nla.news-article3940484&gt;.